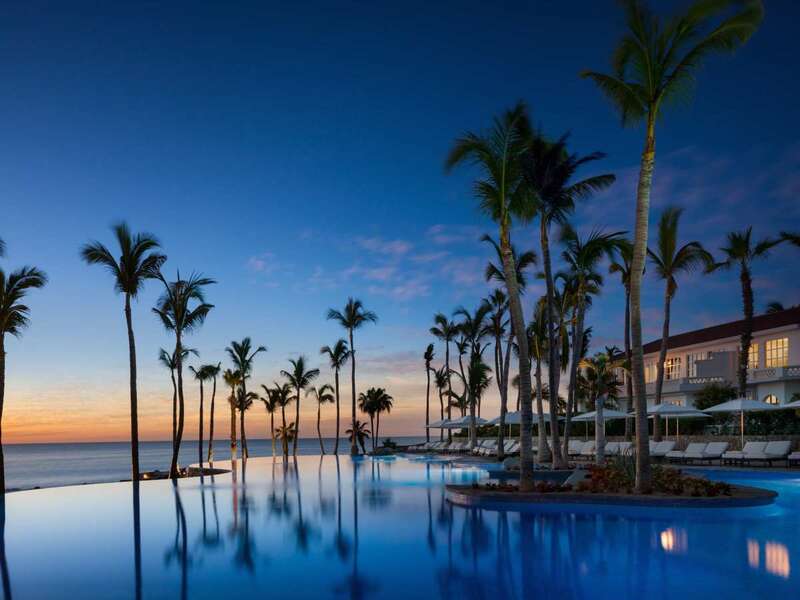 It’s no travel secret that Cabo is one of the best vacation destinations, especially from Houston, just a 2.5-hour flight out of the recently renovated Houston Hobby Airport or Bush Intercontinental. For starters, the airport is clean and efficient; the flights are direct and affordable (thanks to Southwest, United and Spirit), and the weather and beaches are perfect. 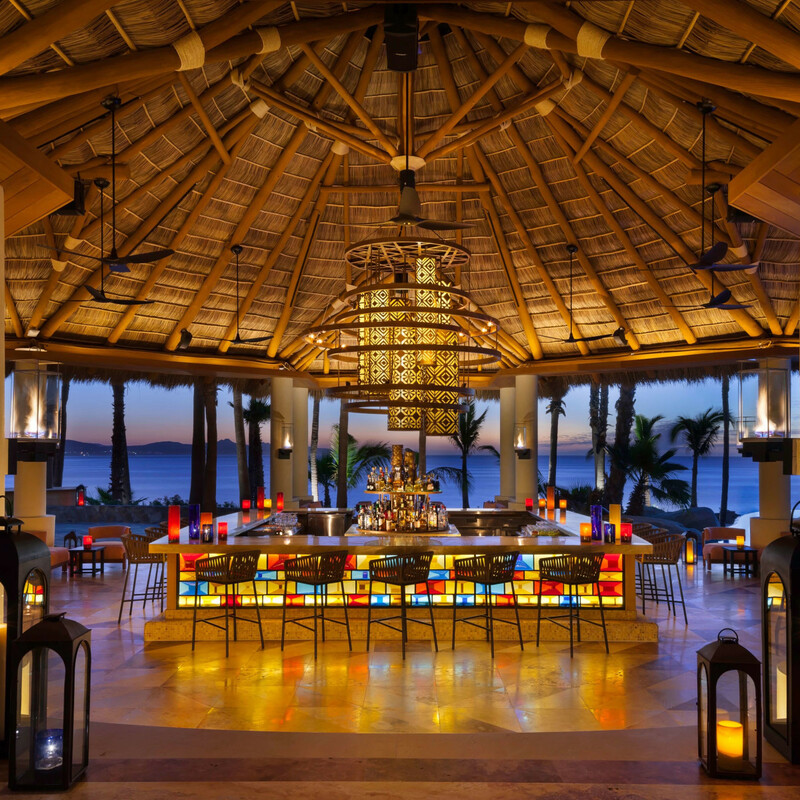 But once you’ve decided on Cabo as your beach destination, where to stay becomes tricky with 60+ hotel and resort options, each promising prettier beach views and tastier cocktails than the last. 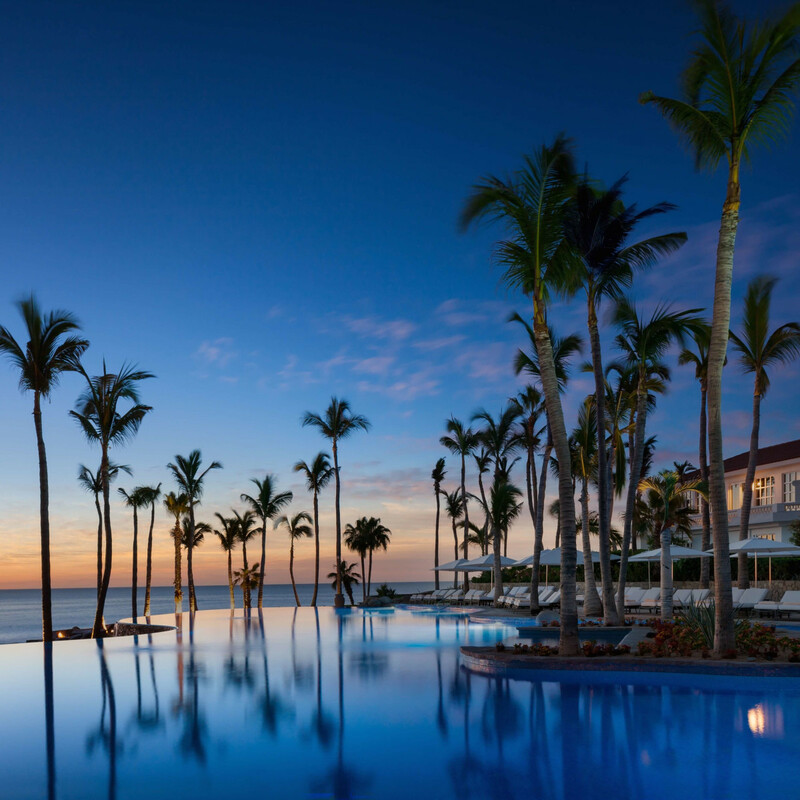 Pending your travel style, we’ve narrowed down our list to two of the best Cabo resorts. If you want to vacation like Jennifer Aniston, Eva Longoria, Jessica Simpson or Jessica Alba, read on. Are you a traveler who appreciates tiny details and the utmost luxury available —think butlers and a 3:1 staff to guest ratio where everyone knows your name? Could you spend hours upon hours on a comfortable lounge chair, with mister bottles, complimentary foot rubs and a good book? If so, the One&Only Palmilla is for you. 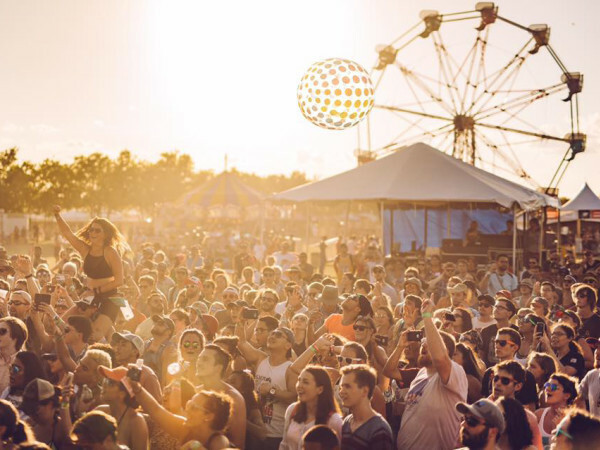 Are you someone who needs constant movement and music during your beach getaway? 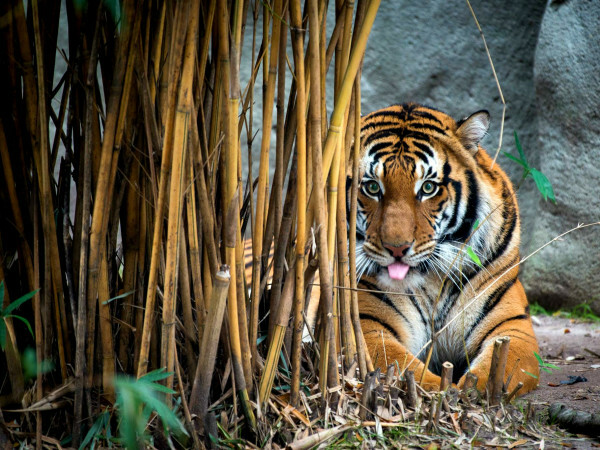 Do you need interaction with other guests and a night scene? If so, check out The Cape, where they welcome you with a bottle of tequila in your room. The kind of luxury and attention to detail guests get at One&Only is stuff dreams are made of. Even at full occupancy, there are about three employees to every guest, which means you’ll get excellent service around the clock. Service so supreme, even Jennifer Aniston and Eva Longoria vacation here. 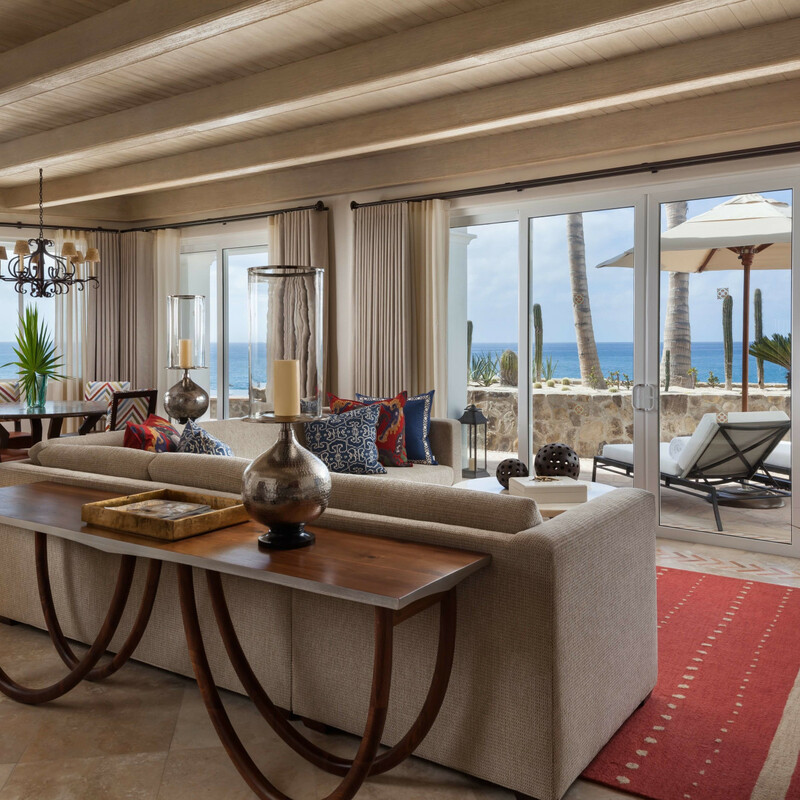 One&Only Palmilla is considered the creator of the Los Cabos mystique—the resort originally opened in 1956 as an exotic spot for Hollywood celebrities to hide was only accessible by private plane or yacht. The iconic resort reopened in 2015 after a full renovation after Hurricane Odile, and the luxurious touches are everywhere. If you opt for transportation service from the airport to One&Only, the full-size and supremely clean SUV even comes with Wi-Fi – another hint of detail. You might not think that’s a big deal, but the drive in is pretty boring (just 20 minutes), so being able to check emails and send “landed safe” texts before you arrive to the resort is key. So then you can bask in paradise. One&Only has Pelican Beach — one of the only swimmable beaches in Cabo. 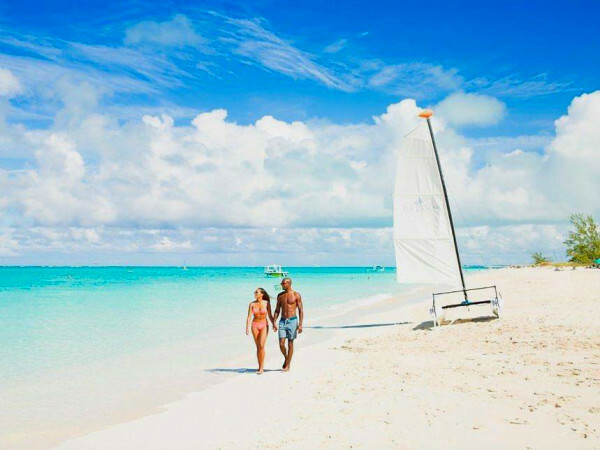 You’ll also be greeted with a beach concierge, free bottled water and misting bottles and top-notch service. 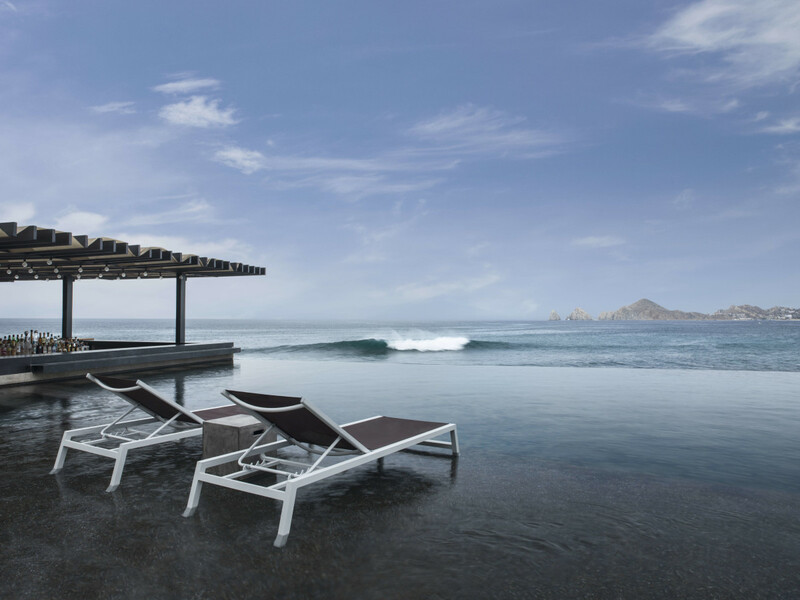 Two free-form pools offer breathtaking views of the Sea of Cortez. For ultimate relaxation, spend an afternoon at the Vista Pool, the adult-only infinity-edge pool where a pool concierge comes by to clean your sunglasses and even offer complimentary foot massages. Add a signature Serrano Margarita to your afternoon and you’re officially on vacation mode, partying like a celebrity. The top five suites come with a dedicated butler and your own iPhone to stay in touch with him throughout your stay as well as your own personal golf cart and driver. Guests in any of the oceanfront suites or private villas enjoy a taste of a signature tequila — Atalaje Reposado — made exclusively for the hotel and served in a terra cotta carafe with shot glasses and fresh limes and sea salt, just one of the many amenities your butler provides. SEARED, the brand-new on-site steakhouse, offers such items as Kobe Tomahawk, grass fed New York Strip and Porterhouse, all displayed in a glass-walled meat cellar with a dry-edge curing room. The menu from noted chef Jean-Georges Vongerichten wows guests with unique dishes along with an extensive wine list, including local favorites and a dedicated wine sommelier to help find your new favorite. The 22,000-square-foot spa offers a sense of seclusion with signature treatments in a private villa. You’ll need the relaxing afternoon after partaking in an afternoon of surf lessons with TropicSurf, the pioneer of “luxury surfing” – the same safe place where Matt Stafford and a few other NFL big names recently took lessons. Another add-on luxury service is the 95-foot, four-cabin, luxury Catari Yacht. An on board culinary team is available to prepare tailored menus accompanied by the perfect margarita. Upon departure, there are at least five staff sending you off. But as you drive away, you can’t help feel you were just voted off the island in some luxurious reality show, knowing others are still enjoying the best vacation you ever had. You will return, you repeat over and over. The Cape is so modern that it graced the cover of Condé Nast Traveler’s “Hot List” May 2016 issue. 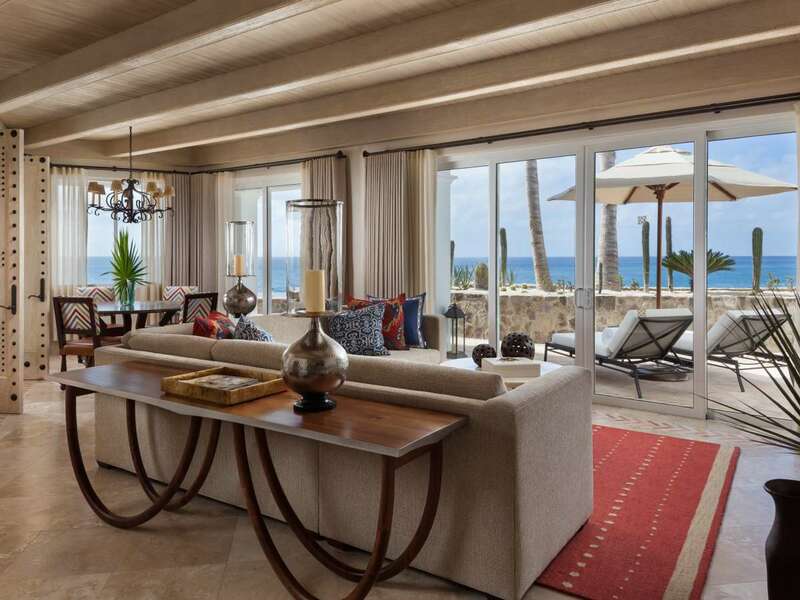 The coveted property is situated in front of The Golden Arch, the distinctive Cabo landmark in a rock formation that erupts from the sea at the tip of the Baja Peninsula. 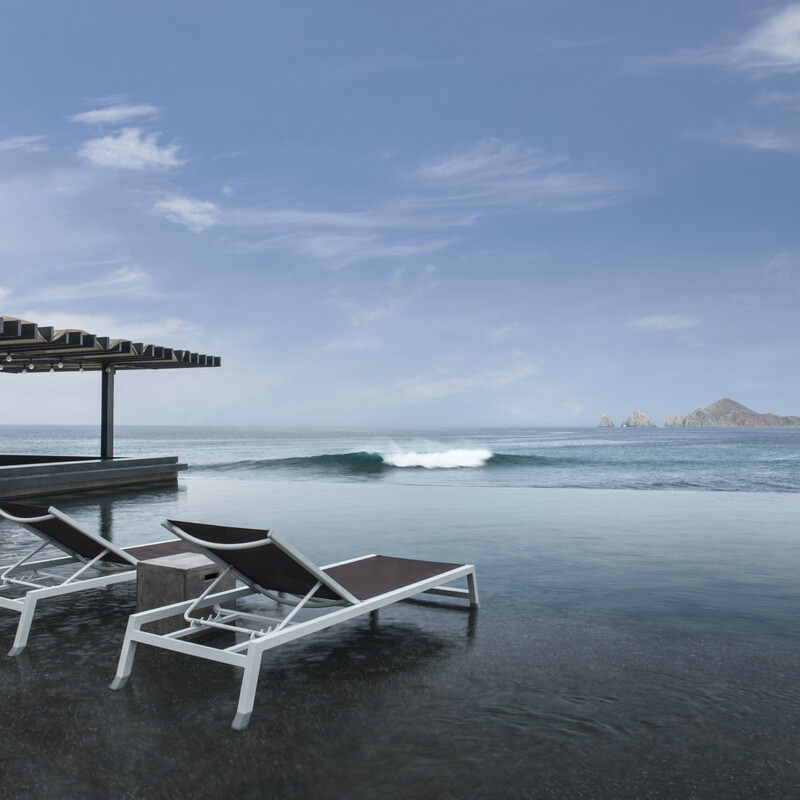 The resort is a sophisticated and new way to experience Cabo, taking in all the views, especially from the rooftop lounge and garden, which offers two open-air bars and is the only rooftop lounge in the area. 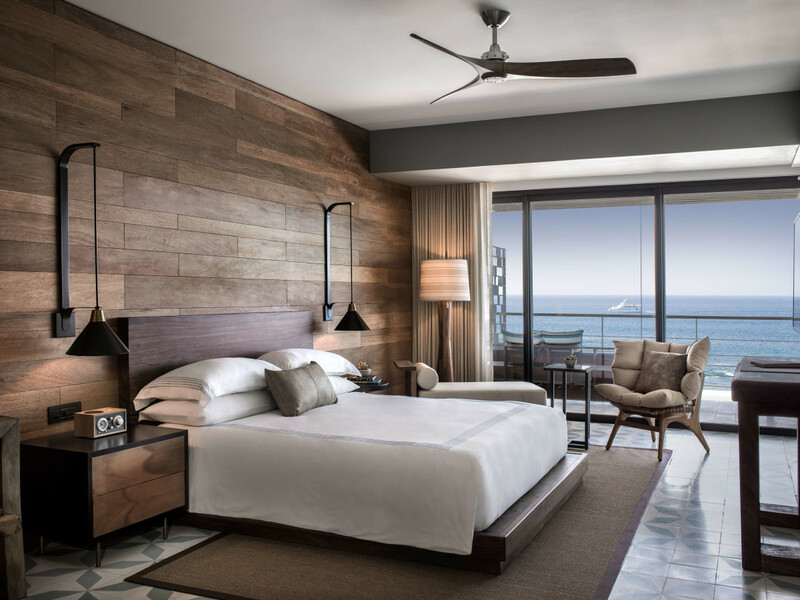 The luxury hotel has two pools, but the one “to be seen at” is the infinity pool, which includes a swim-up bar and complimentary (first-come, first-served) cabanas with perfect views of Monuments Beach, the world-renowned surfers’ paradise. Manta, the on-site restaurant, offers a diverse array of chef-driven food and beverage destinations (think homemade tortillas and locally sourced seafood) overseen by the award-winning executive chef Enrique Olvera, who studied at the Culinary Institute of America in Hyde Park. 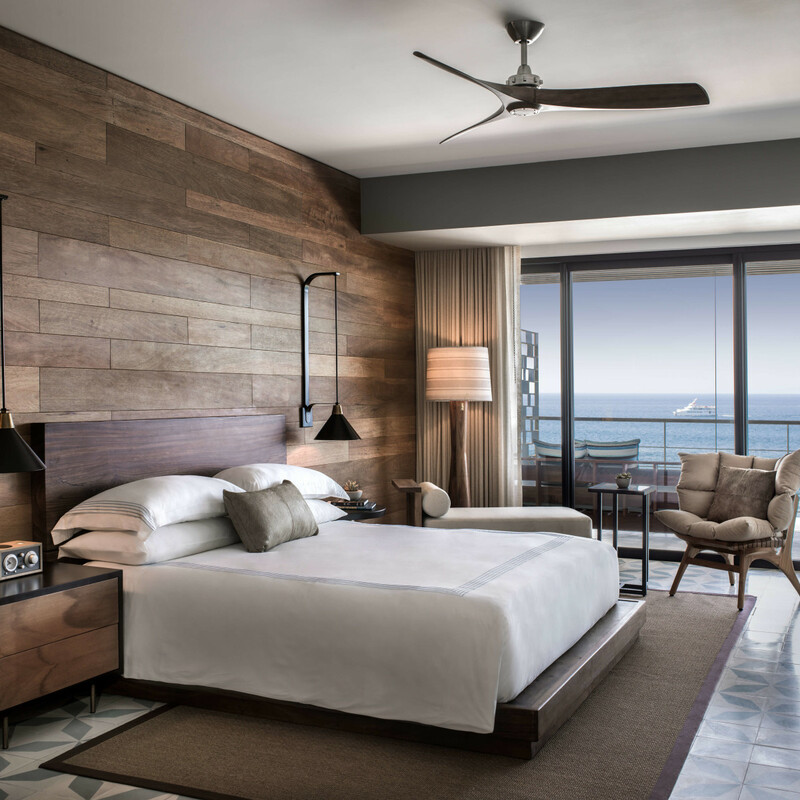 Guest rooms offer beachfront terraces with beautifully decorated hanging daybeds, making it the perfect spot to sip your morning coffee or partake in a few tequila shots before getting the night started. Speaking of tequila, all guests are welcomed with a custom tequila amenity, a 750ml hand-etched crystal bottle of Realeza Mexicana 100 percent blue agave tequila, produced and bottled exclusively for The Cape. 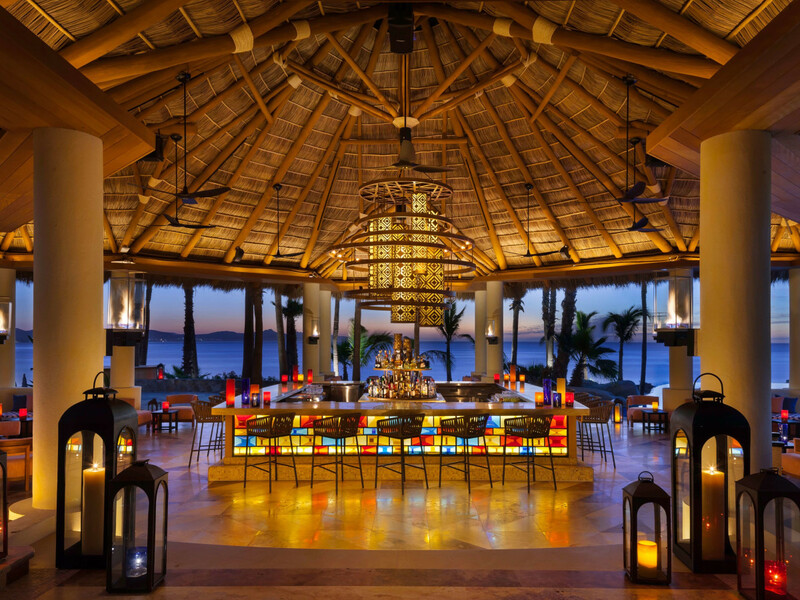 With the open-air lobby, checkout becomes a sad day looking down at all the beach and pool lovers still soaking up the sun (and tequila) in their personal cabanas. As you leave the resort, you’ll wonder why you didn’t book a longer stay.